What is Immune Fitness? 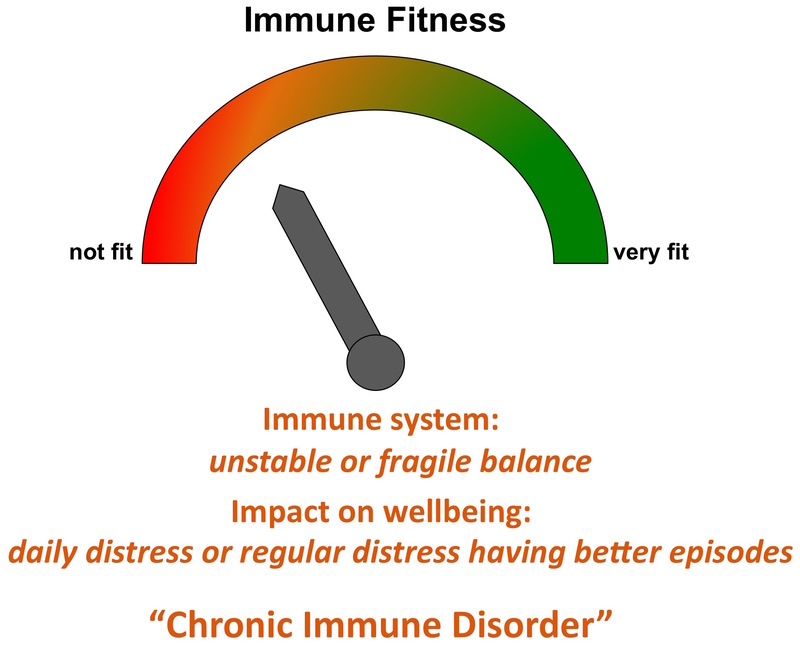 How can you see if your immune system is fit? We don’t have an answer to this question (yet), but we do have a hint to an answer. 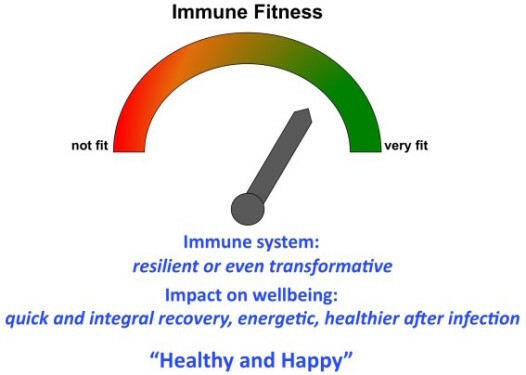 One of the main features of the immune system is that is always seeking a dynamic balance between action and calmness, inflammation and deregulation, destructive and repair activities. One might say that when the system is unstable and unable to find its balance, your immune system is not fit. Further more, if this condition is chronic, one might say you have a Chronic Immune Disorder and experience distress from it on a regular basis. On the other hand, if the system is resilient or even transforms infections into a better wellbeing after the illness, your immune system is very fit and you feel healthy and happy. Both options are depicted in the images below.